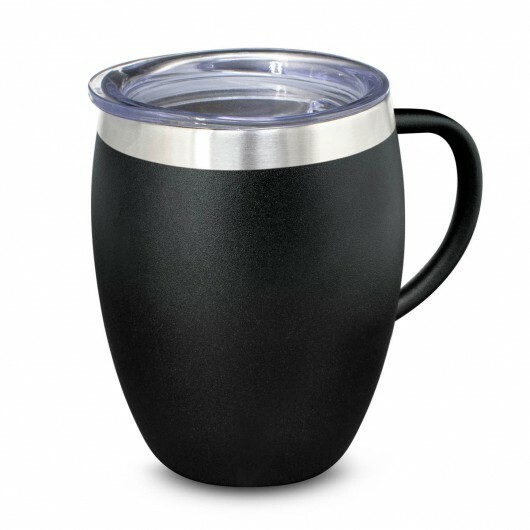 The perfect choice for your morning cuppa - these vacuum cups are convenient and stylish. 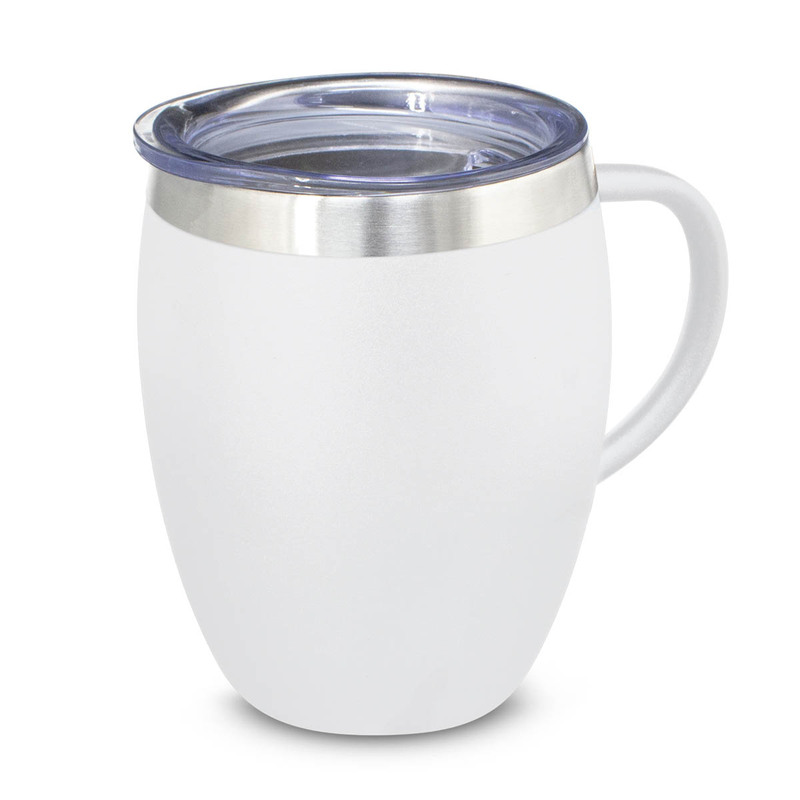 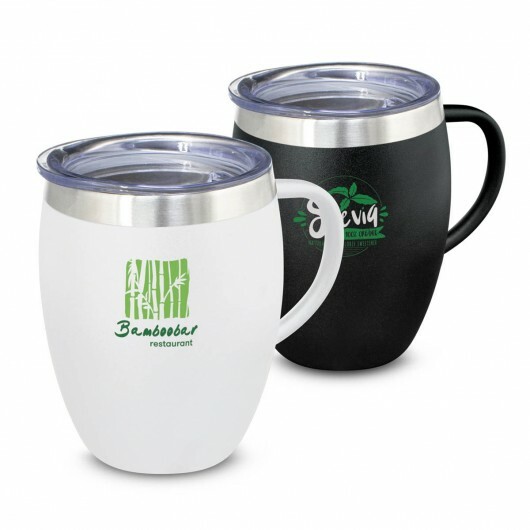 These premium 300mL double wall, vacuum insulated cups feature a convenient handle that makes carrying a breeze. They will keep drinks hot or cold for approximately 3 hours and have a powder coated finish with transparent push on lid. They laser engrave to a stainless steel finish and are BPA free. Comes presented in a black gift box - handwashing is recommended.